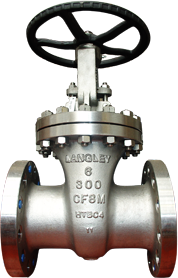 YPS Valves Limited is a Stockist and Manufacturer, including Design and Modification of Stainless, Duplex, Aluminium Bronze and Nickel Alloy, Gate, Globe, Check, Ball, Cryogenic and Bellows Sealed valves. YPS Valves Ltd designs, manufactures and stocks a broad range of check valves engineered to prevent the risk of back flow. Available in a variety of materials, we provide product solutions that are built to last under the most arduous conditions and that are resistant to corrosion, erosion and leaking. Materials: Stainless Steel, Duplex, High Nickel Alloys, Titanium and Zirconium. Size Range: 1/2" to 16"
Subscribe to our newsletter and start getting updates straight to your e-mail.